So, what is the Occult? The miscellaneous items shown below are available to order safely & securely from Links 2 the Occult using PayPal's ® own shopping basket. PayPal ® is recognised as the safer and easier way to pay for all your online purchases, and you don't pay to use it in this manner. 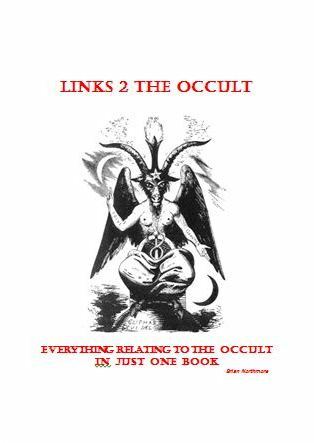 001 n/a Links 2 the Occult - PDF Download. A downloadable eBook in PDF format comprising the entire contents of this site excluding superfluous advertising and comments. Currently contains some 328 pages in a zipped folder from which you must extract the files. Check below to see what this remarkable book contains. 002 n/a Aspects of the Occult - PDF Download. A download comprising hundreds of eBooks in PDF and other formats relating to all aspects of the occult. Further details shown below. 003 n/a Both of the eBooks shown above. This offer comprises both of Item Nos 001 and 002. 005 n/a Make a Donation Use this option to make a small donation to Links 2 the Occult to help pay for research and the upkeep of this site. 006 n/a Apply to become a Sponsor Use this option to apply to sponsor this site and have your own business advertised on the site on a permanent basis on a page of your choice. 007 n/a Apply to become a 2nd-site Sponsor Use this option to apply to sponsor this site and have your own business advertised on the site on a permanent basis on a page of your choice. USE THIS OPTION ONLY IF YOU HAVE ALREADY SPONSORED OUR SISTER SITE TOMEGATHERION. Direct from this site, a terrific download holding the entire contents of the website (including the glossary and images, but excluding all advertisements and superfluous references) in a printable A4 pdf eBook. The cost per download is £3.99 irrespective of where you live in the world, and because it is a download, you incur no postal or administrative charges. If you do not receive details of how to download it immediately, don't panic. The site is not monitored 24/7, but you are guaranteed to receive the instructions within a maximum of 24 hours. * Just a few of the authors featured are Dion Fortune, William Wynn Westcott, Arthur Edward Waite, Samuel Liddell MacGregor Mathers, George Bayer, Sigmund Freud, Israel Regardie, Sri Swami Sivananda, Carl Gustav Jung, Anton Szandor Lavey and a folder containing publications by someone truly extraordinary. Both of the eBooks/items shown in Item Nos 001 and 002 above. These two items together cost just £6.99 irrespective of where you live in the world, and because they are downloads, you incur no postal or administrative charges. If you do not receive details of how to download them immediately, don't panic. The site is not monitored 24/7, but you are guaranteed to receive the instructions within a maximum of 24 hours. Click on the Add to Cart link below to pay securely online for this or any other item. Using Paypal's Shopping Basket, you will not incur any charges, but you will have peace of mind knowing your payment is secure and guarantees a very quick reply with download instructions. We would like to thank you most sincerely for your kind assistance in helping to keep this site going. Sponsorship costs £100 as a one off payment. Your advert will remain on the site for the duration of its existence (the site that is). You can change the details of the advert as and when required at no extra charge, unless significant changes are made.